Israeli forces targeted Palestinian detainees with tear gas, sonic bombs, according to Turkish media. 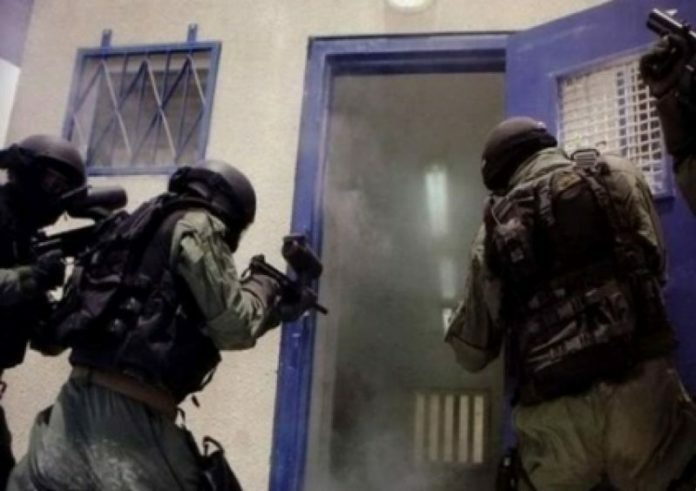 The security forces fired three cells completely and beat up Palestinian detainees. According to the statement, the injured detainees have been transferred to hospital. Ofer Prison is home to about 1,200 Palestinian detainees. Meanwhile, Arab media ‘Al Jazeera’ the Zionist forces shot a Palestinian youth dead in south of Nablus on Monday night. The Zionist forces claimed that the Palestinian youth was aimed at targeting them with cold weapon. The great ‘March of Return’ rallies culminated on May 15 to mark what Palestinians refer to as the Nakba, or Catastrophe–a reference to the forced removal of 750,000 Palestinians from their homes and villages to clear the way for Israel’s establishment in 1948. Since the protests began on March 30, Israeli forces have killed at least 254 Palestinians in the besieged coastal enclave and wounded about 26,000 people, according to health officials in Gaza.